Just Mobile's Lounge Dock is an eye-catching adjustable charging stand that will take pride of place on any desktop or bedside table. Just Mobile continues to impress us with its great Apple-centric accessories, and is well-known as a company who’s ethos is great design. We’re excited to feature the Lounge Dock in our Watch Store alongside Just Mobile’s TimeStand and HoverDock. 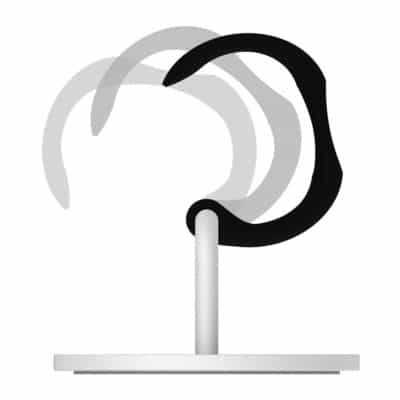 With its slim side-mounted arm, Lounge Dock makes your Apple Watch appear to float in mid-air. What’s cool and helps distinguish the Lounge Dock from the myriad Apple Watch chargers on the market is its display adjustability. I can adjust the black cuff holding the watch in place to the perfect viewing angle. 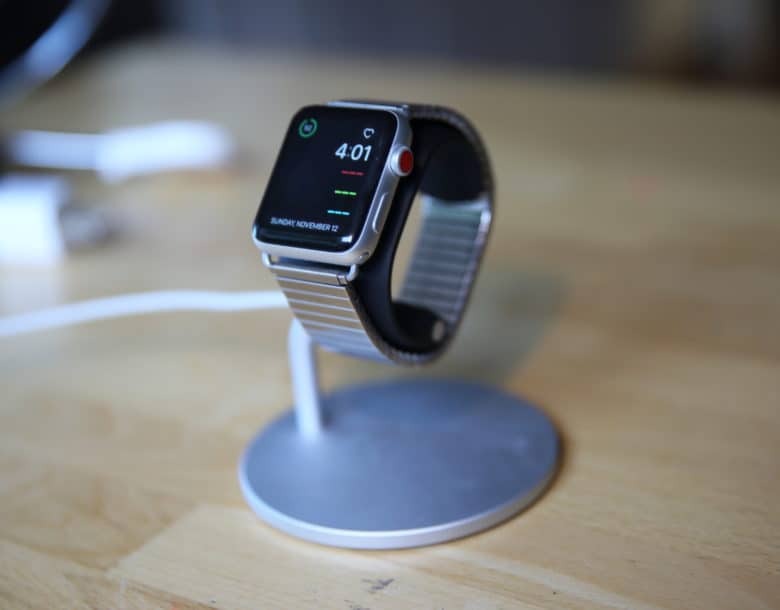 Pop it on the bedside table or desk, adjust accordingly and it’s super easy to interact with my Apple Watch while it charges. Multipurpose. I like that. The Lounge Dock pivots, allowing you to adjust the screen angle of your Apple Watch for easier viewing. This dock is super easy to assemble right out of the box. Simply secure the side-mounted side arm through the aluminum base with the screw that’s included. 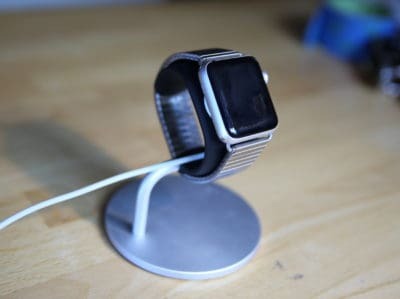 Slip a magnetic charger into the cuff’s moulded recess, strap an Apple Watch to the cuff, and — voilà! — let the charging commence. This stylish charging dock stands at 4-inches high, and is compatible with all Apple Watch charging cables. It also works with both the 38 mm and 42 mm Apple Watch.